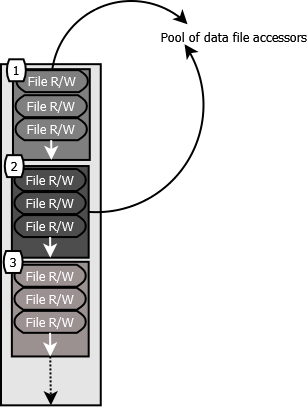 Since its the first time a data file accessor is requested for file1, a pool will be created for it. 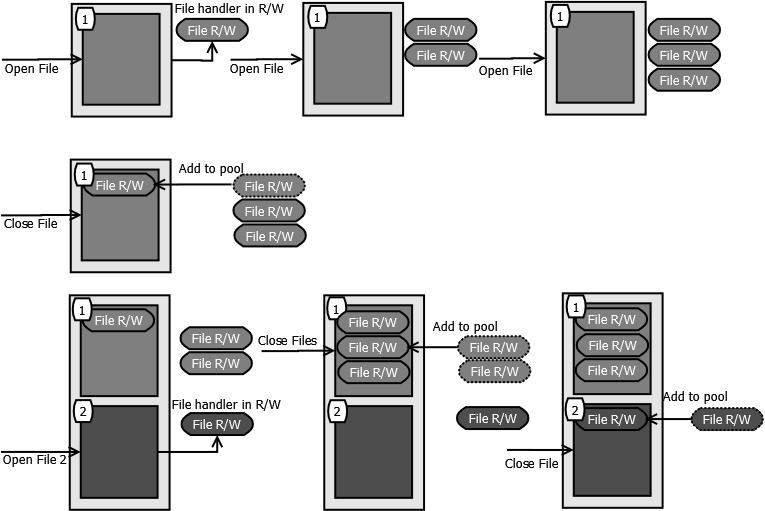 Since the the data file accessor created is not closed yet, any further requests will create more file handlers in R/W mode. Any further request for the accessor, will not creating new one and instead will use the accessor from the pool.